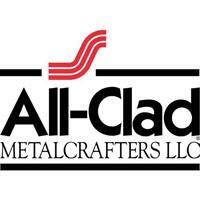 Born of the steel age in 1960, All-Clad Metalcrafters found its roots in a small metallurgical company that specialized in formulating bonded metals for a variety of industries. Company founder, John Ulam, was awarded more than 50 US patents, specifically related to bonded metals, and was instrumental in the US Mint’s conversion from solid silver coins to the bonded layered metals we use today. After years of perfecting his bonding process, Ulam established All-Clad Metalcrafters in 1971, and began producing professional-quality cookware for working chefs and gourmet home cooks. The brand slowly emerged as early adopters in the professional community realized the extraordinary qualities, striking aesthetics and exemplary cooking performance of this revolutionary cookware. Today, from its rolling mill in Southwest Pennsylvania, All-Clad Metalcrafters is the only cookware manufacturer who utilizes American craftsmen and American-made metals to produce a complete line of finished cookware products.